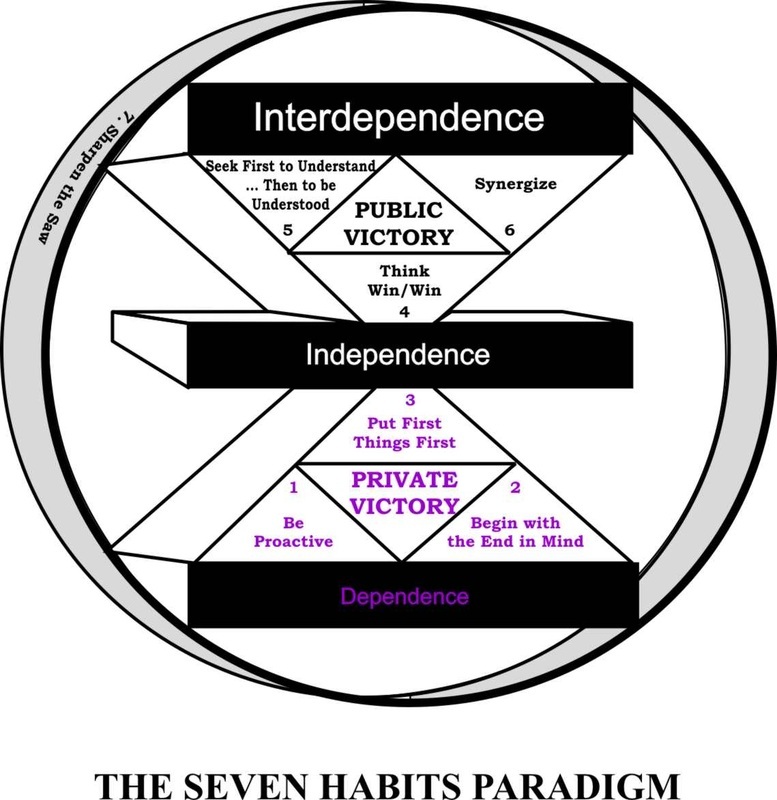 As Covey (1989) develops his concept of seven Habits, the diagram below serves as the model that he uses to illustrate how the Habits relate to one another (p. 53). There is a progression (as indicated by the numbers segments) within the Habits, and there is also a progression from "dependence" to "interdependence." The seventh Habit, Sharpen the Saw, is what he also refers to as the process (for it is on-going) of personal renewal. As indicated in the model, the first three Habits revolve around the matter of Private Victory; the Habits that will form part of the focus of this study.